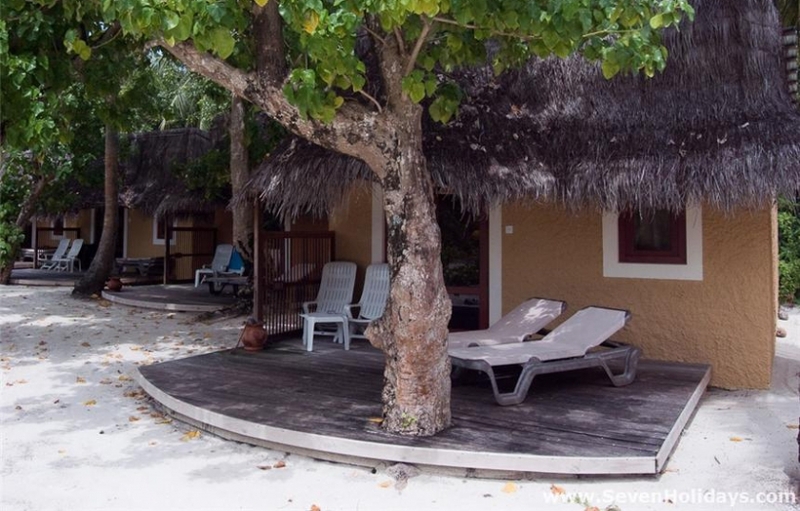 First opened in 1989 as a fun-packed young people’s place that was big on diving , Kuredu matured with the opening of the smart, no children , Sangu. Now the modern ‘O’ resort has been added at the eastern end of the island and the truly private Sultan Villas have been built in the middle. 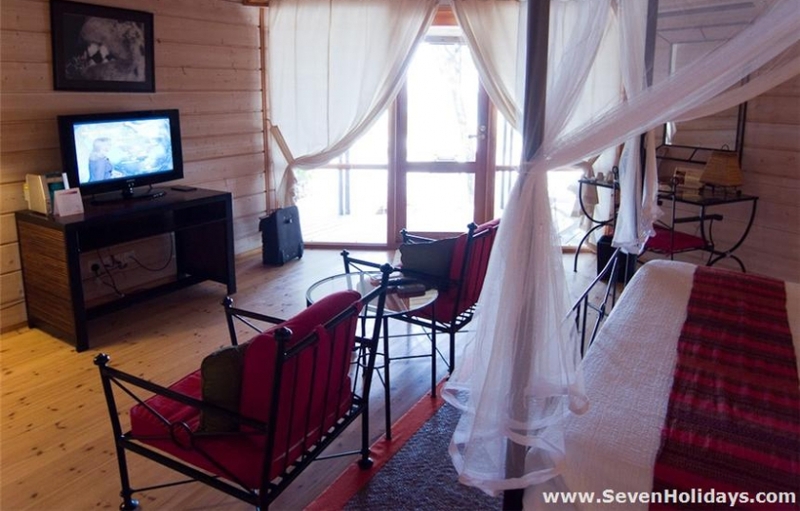 The resort runs wonderfully smoothly and the staff are calm, organised and friendly. Not overly friendly in a trained sort of way but genuine, as befits a no fuss, no frills place. The island lies more or less east-west, with a bulge on the eastern end and tapering to a point as it goes west. The long south side faces into Llaviyani atoll and has the great beach . The long north side faces open water and has occasional beaches protected by low walls and tetrapods. The Sangu Water Villas are built into the lagoon on the north side, with the Honeymoon Suites at the sunset end. The rest of the north side is taken up by Bonthi Beach Bungalows and when these move inland they become Bonthi Garden Bungalows. In front of them have been built ‘O’ Beach Villas. 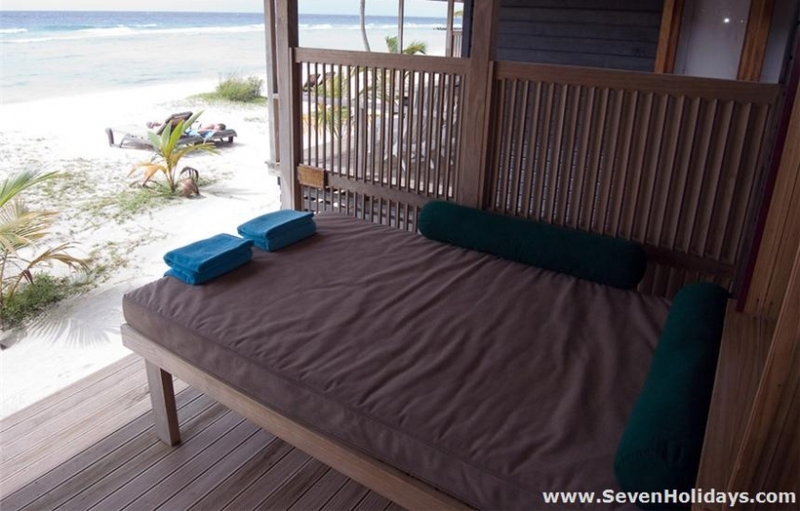 The ‘O’ beach villas are right on a good section of beach and the Sangu water villas have steps down to the lagoon but the snorkeling is not great on this whole side due to some persistent sea grass and because there is often a bit of current and/or rough water. 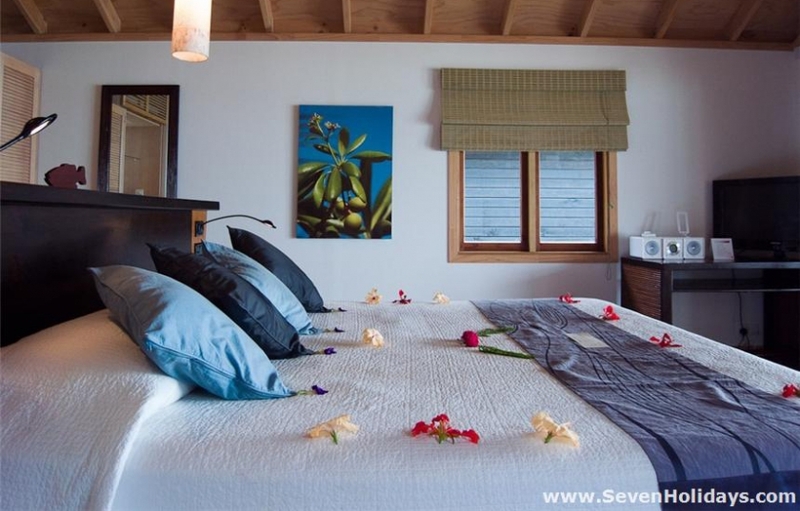 The south side of the island has ‘O’ Jacuzzi Beach Villas which have swimmable access to the snorkeling reef, as well as decent corals inside the lagoon and the better privacy than most of the other rooms. The Koamas Beach Villas and Jacuzzi Beach Villas take up most of the rest of the south shore, either side of the jetty from which the snorkeling is accessed. 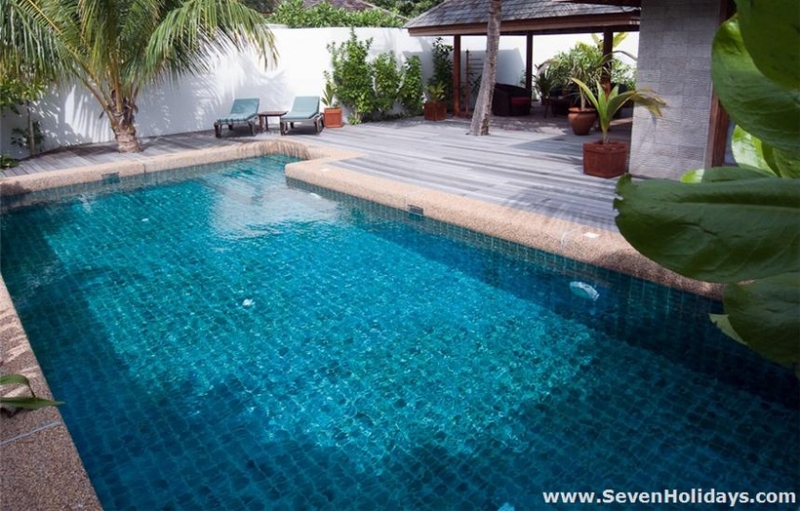 The western end houses the Sangu Jacuzzi Beach Villas (and around the narrow end to the Sangu water villas). 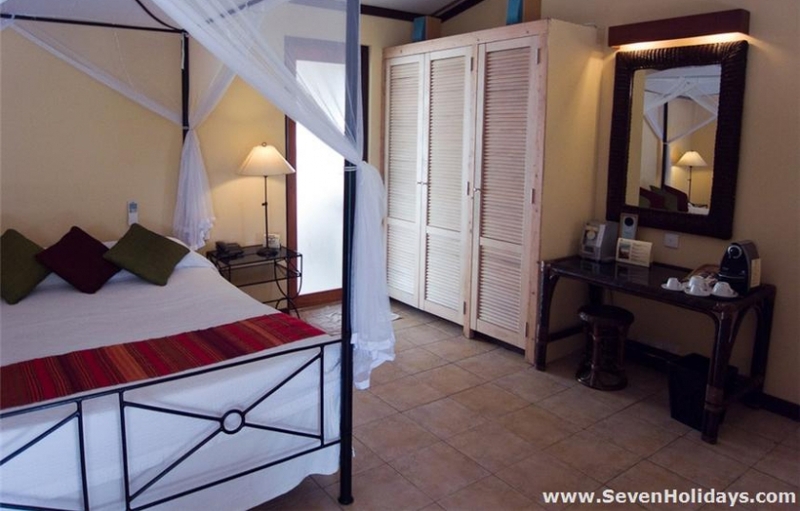 The original resort room is still the core of the Bonthi beach bungalows. These are basic enough but very economical and perfectly fine. All the Koamas, Sangu and ‘O’ villas share the plain, functional elegance of Scandinavian design, with walls and floor of light timber and furniture of black metal. The ‘O’ rooms might be seen as a little more feminine in design. The key difference between the rooms is really their position around the island, with their access to good beach, the snorkeling and the various pools, bars and restaurants. 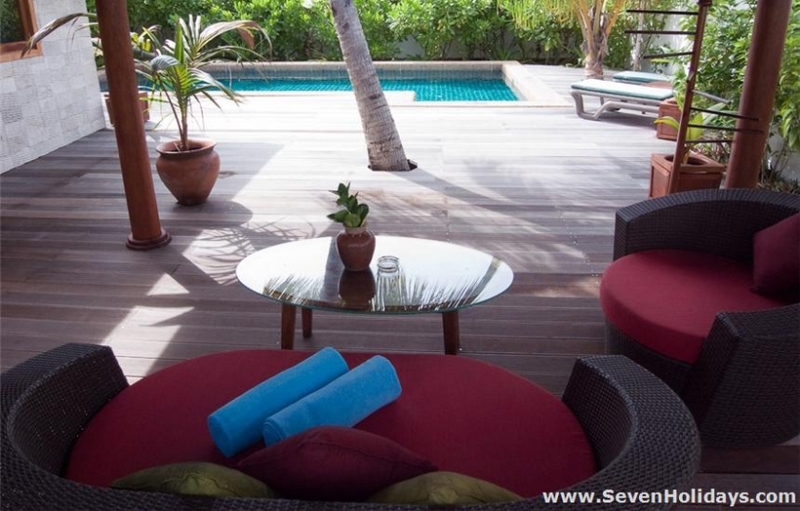 Kuredu is a gregarious sort of resort, a place where hideaway privacy for two is not its raison d’être. The only rooms that have real privacy are the 9 Sultan’s Villas. 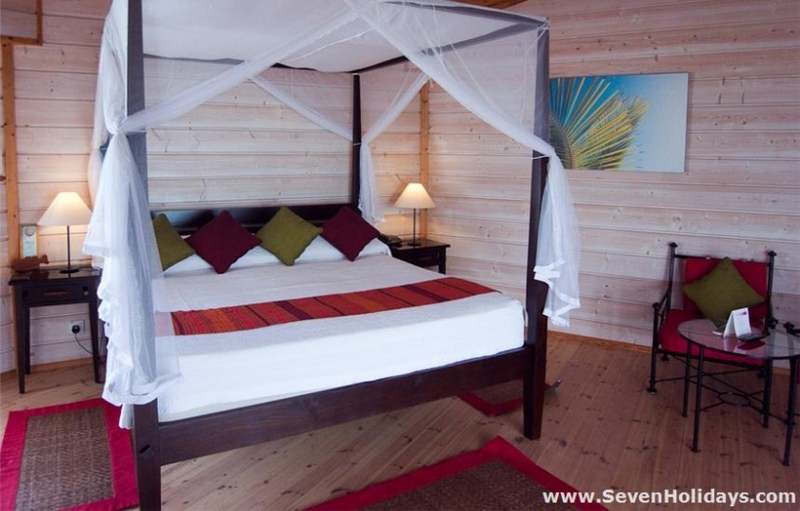 These premium rooms with their 10 metre pool and extensive decking are enclosed by walls and surrounded by greenery in the middle of the island. 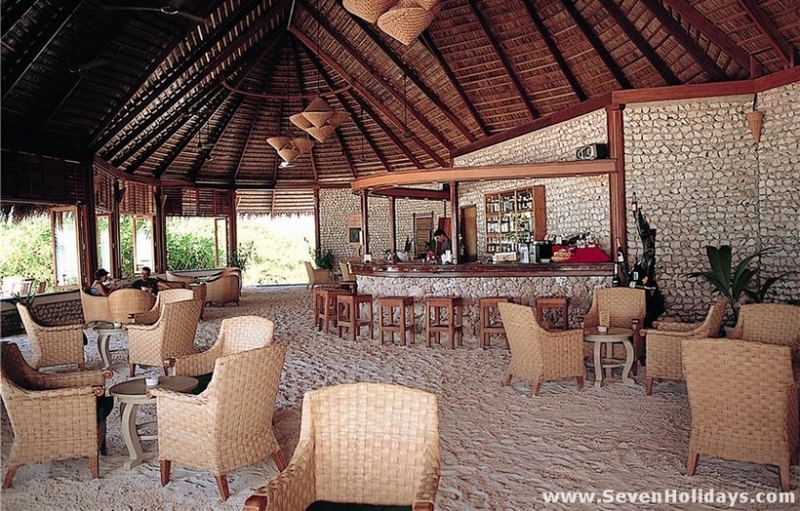 The watersports centre has grown from a hut on the beach to a big building beside and in front of the main bar. It has its own bar and ice cream parlour serving the guests that hang out on the large deck, playing cards or scrabble, sitting in beanie bags and checking out the Billabong boutique. The dive centre is not only run professionally but with an easy camaraderie that belies the complexity of the operation. 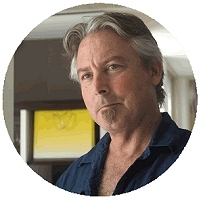 Guests range from hard-core, single-minded divers who really know what they want, down to the anxious and uncertain first-timers. But this doesn't seem to cause a hiccup in the system. There are enough instructors, boats and dive sites to keep everyone satisfied. The centre takes on the snorkeling too. A separate board with an introduction and lots of information, details the options and activities. Daily lessons are free, as are the accompaniedsnorkels from the beach on the excellent housereef. On top of this are regular half day and full day snorkel trips with the guests well prepared as to what there is to enjoy. 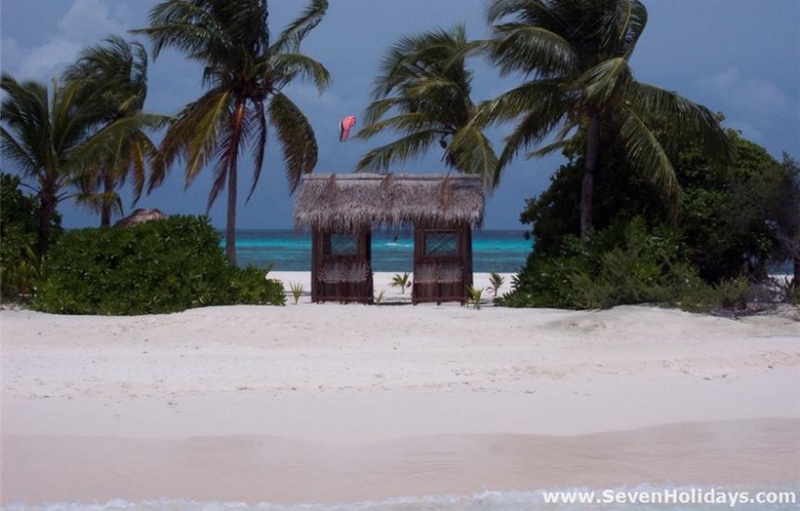 Meeru and Kuredu are the only two resorts that offer golf. The Kuredu course is larger and there is also a putting green and a 200 metre driving range with traps. And a real golf pro too. This may all sound inappropriate for the Maldives but it really works. It is helped by the fact that it is so well hidden inside the island that you would walk straight past it if you didn't know it was there. British and Germans have been the large majority of guests here since the beginning. 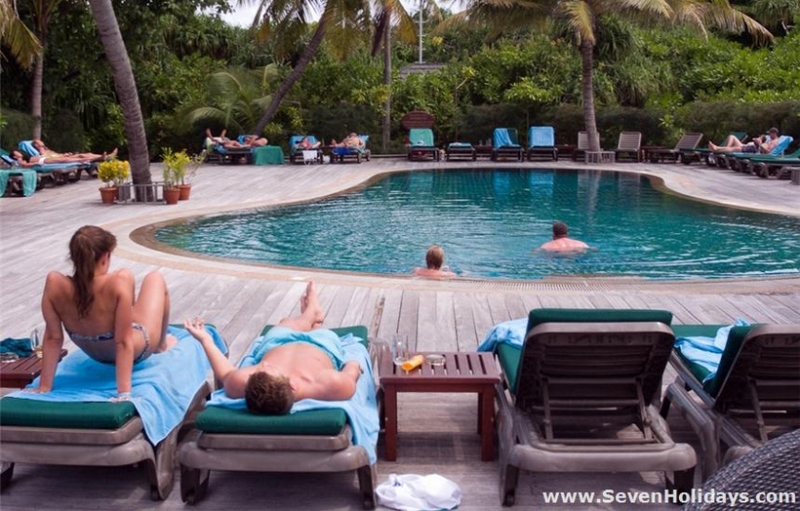 Many of them come back year after year to enjoy the special way that Kuredu does the Maldives.